France summoned Italian ambassador Teresa Castaldo on Monday following comments made by Italy's Deputy Prime Minister Luigi Di Maio over the weekend, in which he accused France of manipulating African countries and exacerbating the migration crisis. Speaking in Italy's Abruzzo region, Di Maio said he believed France would drop in the rankings of the world's largest economies had it not been for "what it is doing in Africa." “If we have people who are leaving Africa now it’s because some European countries, and France in particular, have never stopped colonising Africa,” he said. "If France didn’t have its African colonies, because that’s what they should be called, it would be the 15th largest world economy. Instead it’s among the first, exactly because of what it is doing in Africa." The incendiary comments marked the latest diplomatic spat between the two countries, following last year's quarrel over migration, and, specifically the Aquarius migrant rescue ship. 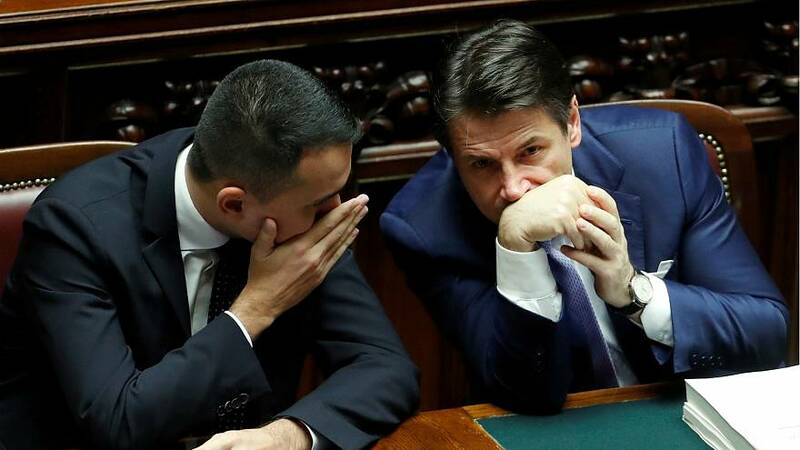 Despite France's reaction, Di Maio stood by his comments in a statement to the press on Monday, adding that he believed France had prevented the economic development of 14 African states. He specifically referred to the CFA franc, the umbrella term for two France-backed currencies used in 14 states across west and central Africa. "I think that France is one of those countries that by printing money for 14 African states prevents their economic development and contributes to the fact that the refugees leave and then die in the sea or arrive on our coasts," he said in a statement broadcast live to Facebook. "We should stay at home, and when I say 'we' I talk about those European states, like France, that during these years have had benefits from exports of raw materials by printing a currency for fourteen African states." "And, with these advantages, also their economy has had benefits. Then the problem is that migrants arrive on our coasts. So, until this problem is solved, we will ask Europe to face the issue of decolonisation of Africa that has never ended."